Chiptuning installation: It just clicked! 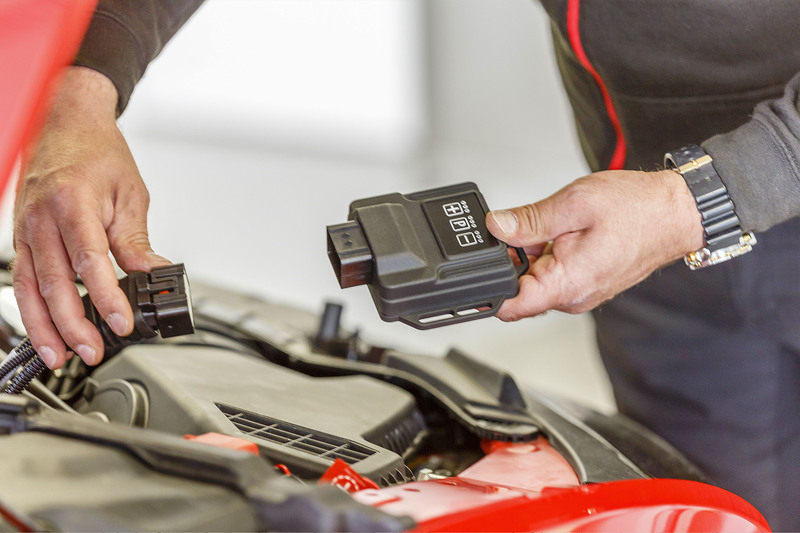 With our PowerControl chiptuning you can do a Do It Yourself (DIY) - Installation. How? Pretty easy because we send you an extensively illustrated installation instruction that guides you through the installation process step by step. And thanks to the easy plug-in system this is done in a very short time. You need no special tools, soldering or the like. The systems are already programmed matching your particular type of vehicle without further manual adjustments. On our video channel you can find examples of PowerControl installation giving you a great first impression. Gladly we take over the installation for you - at no additional cost - directly at DTE UK in Stanly, co. Durham. You can make an appointment with us from Monday to Friday between 8 am to 5 pm. Easy installation – easy dismantling, back to serial condition. Also the residue-free dismantling you can perform yourself or at DTE in Stanley.